One of the most frequently requested services is Search Engine Optimisation (SEO). SEO is the process of maximizing the number of visitors to a particular website by ensuring that the site appears high on the list of results returned by a search engine. 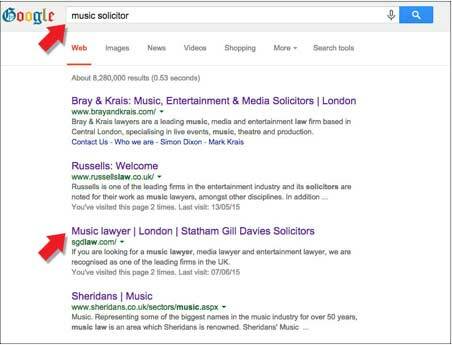 We have been able to show quick results on Google and multiple results. Read on! The goal of SEO is to connect with customers when they are actively searching for a product or service, and convert them to a sale. This requires a visible position in search engine search results, and a website that persuades the customer to go ahead with the purchase. A high Google score, low bounce rate, and increased conversions are the metrics to monitor. 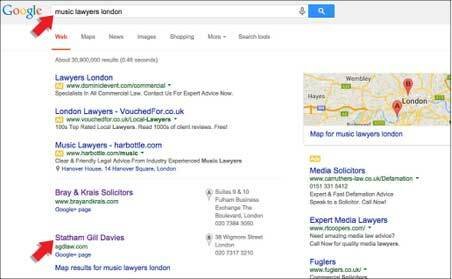 Many businesses try to improve their discoverability with a Google AdWords campaign. A common – and costly – mistake is to run the AdWords campaign as a once off activity, which can have limited success. Effective SEO requires a deep understanding of how search engines work. Tactics can range from checking for broken links, errors and crawl issues though to keyword research, improved content, mobile responsiveness and backlinks from reputable sites. The key to increasing website traffic is to integrate SEO with relevant content and social media marketing. Aquatiere is a UK company that manufacture water filters and water treatment units for both domestic and commercial premises. Brainstorm were recommended to Aquatiere by an existing client. 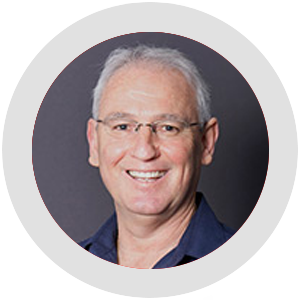 Founder Graham Brebner was immediately impressed with Brainstorm’s passionate approach to all aspects of digital marketing, and asked Brainstorm to redevelop the Aquatiere website. The challenge for Brainstorm was to keep Aquatiere’s core product, the Saltless Water Softener and Water Filter, visible on the front page of Google search results during the website redevelopment process and in the long term. 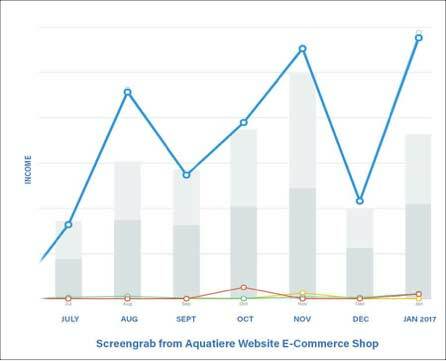 Brainstorm worked with Aquatiere to improve the website and develop a tailored approach to SEO that would increase sales and grow their business. 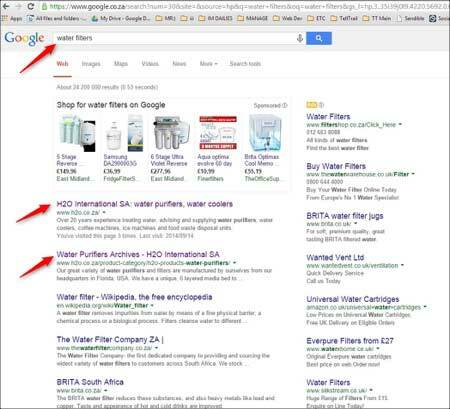 Brainstorm’s efforts kept Aquatiere on top of Google rankings. 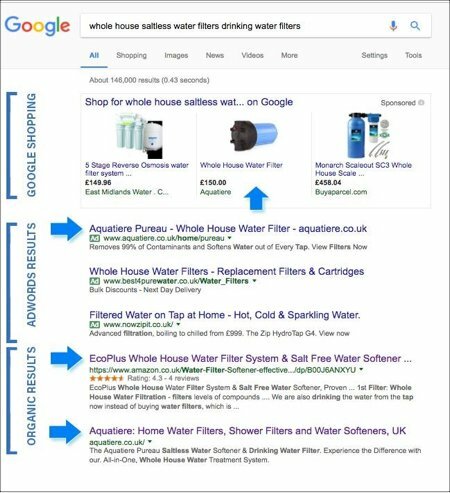 This made it easy for potential customers to discover Aquatiere products via Google shopping, AdWords and organic search. Aquatiere is delighted to have seen a two fold increase in sales within six months, and will continue working with Brainstorm for the foreseeable future. Statham Gill Davies Solicitors (SGD) is a medium sized commercial law firm based in London. They specialise in music, entertainment and media. SGD needed to improve their website, and contracted a third party to deliver the redevelopment work. Following the redevelopment, the website dropped from page one of Google search results, reducing the number of incoming client enquiries. SGD Davies turned to Brainstorm to rectify the situation. Brainstorm carried out an SEO audit, where they assessed and corrected the website against a 60 point checklist to ensure that it was fully optimized to meet Google’s rules for search result rankings. The next step was to carry out research to understand the most commonly used and relevant search terms. Brainstorm adjusted the web site in line with their insights to further boost search rankings. 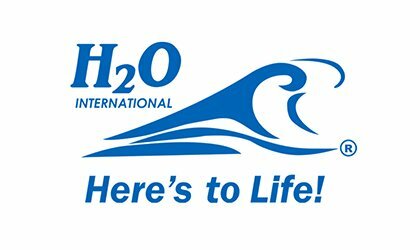 Based in South Africa, H20 International (H20) is a leading water filter brand. They have demonstrated impressive growth, starting as a small company in 2002, tripling their franchisees and evolving to be the dominant water filter brand in South Africa. Brainstorm has played an important role in the company’s success, increasing the value of the H20 brand. Brainstorm have worked with H20 for over ten years delivering an ongoing strategic integrated marketing programme. Developing, maintaining and managing the H20 brand. Marketing and advertising strategies for print, radio, internet and occasionally TV. Development of marketing materials including leaflets, brochures, exhibition stands, banners, folders and business cards. Creating and maintaining online promotional elements including SEO, banner adverts, AdWords, social media, blogs, email campaigns, online competitions, lead capture and lead nurture. SEO is a crucial part of this mix, and results have been impressive. 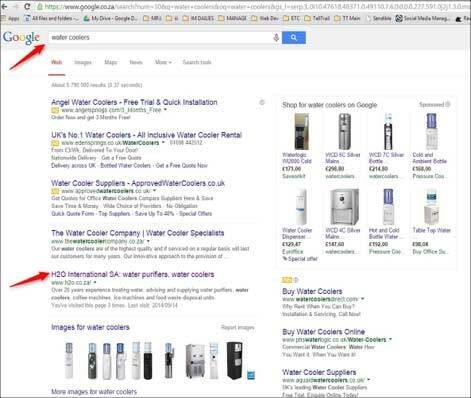 Website redevelopment coupled with online promotion has seen H20 occupy top Google ranking for all of their product ranges.